What Makes Us the Best Exhibition Stall Designer in India? Exhibitions offer a platform to the companies and brand that helps them showcase their products and services to a large target audience. With alluring and stand apart exhibition stall design, your brand can look unique among the rest of the brands. At Insta, we help you in getting a standalone brand presence through best stall designs. 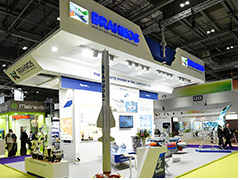 As leading exhibition stall designers, we ensure to offer exhibition stands that stand distinct. The exhibition stall designs by Insta are meticulously designed offering award-winning designs. 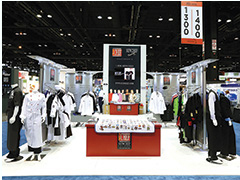 Get these best-in-class stall designs and let your brand steal the show with our award-winning and stunning exhibition stall designs. We help in creating 3D exhibition stall design concepts to offer a better outlook to your brand. The 3D creative themes help in meeting the brand needs and client’s objectives. Thriving on innovation and continous improvisation, our 3D designed exhibition stalls help in realizing how your stall will look during the show. Our dedicated pool of exhibition stall builders and fabricators works in collaboration with your brand’s vision. These exhibition builders and fabricators help in bringing unique brand concepts to life. Get best stand building services from Insta, the best exhibition stand builder and designer in India. 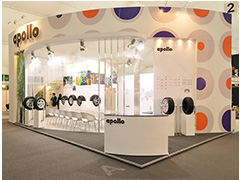 Let your brand be unique with customized stall designs crafted by leading exhibition stall designers. Insta is the most trusted and reliable exhibition stall designer in Delhi, Bangalore, Ahmedabad, Mumbai. 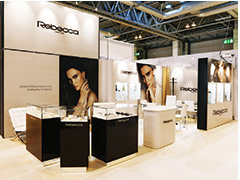 Are you Looking for Exhibition Stall Designer?